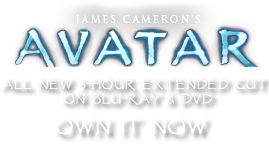 Limacina erecta | Pandorapedia: The Official Guide to Pandora | Own AVATAR on Blu-ray & DVD Now! The grub plant looks very much like a giant green-gray banana slug from the Pacific Northwest of the USA. Its body consists of erect, plump, leafless stems with mottled coloring that is camouflaged against other foliage in the forest. Horizontal striations encircle the stems at nodes where new stems emerge as branches. These quickly fall off, root, and establish new plants. While most plants produce and store lipids (fats and oils) only in their seeds, the grub plant is unique in storing lipids in its stems, making it a favored food of animals. The grub plant possesses unusual sensory cells at the tips of slender projections that emerge from the top of each stem. These not only resemble the tentacles of true slugs but also have a primitive sense of smell and respond to volatile chemicals emitted by animals that approach it. This allows the grub plant to retract to a smaller size as a defense against being eaten. These unusual cells place the grub plant in the class of zooplante found on Pandora that have characteristics of both plant and animal. Due to the high concentration of lipids produced in the grub plant, they are a favored food of animals, but inedible to the Na'vi. The humans on Pandora are experimenting with it for use as a cheap biofuel. Taxonomy Limacina erecta. Root name means "slug-like" and "erect." Botanical Description Succulent plant with bulbous stems and no leaves. Possesses primitive sensory cells at the tips of slender stems that emerge from the top of the plant. Ecology One of very few plants that produces and stores fats in its tissues. Favored food of animals. Sensory cells respond to smell of animals and plant retracts in defense. Ethnobotany Being tested as a biofuel.